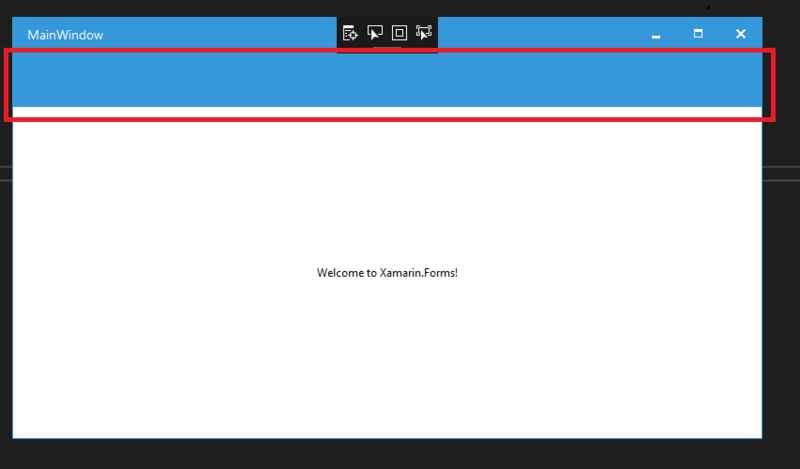 How to remove AppBar/Toolbar in WPF application in Xamarin.forms? I've integrated WPF project with Xamarin forms cross platform solution. I want to remove the Additional AppBar/ToolBar that appears below the TitleBar when the WPF application is built and run. What was the solution you used? I've tried the solutions listed in the stack overflow post and haven't gotten anything to work yet.